Yep. It’s that time of year again. Sniffling, sneezing, coughing and pink eye abounds. It’s that last one that strikes fear into every mother and school teacher. 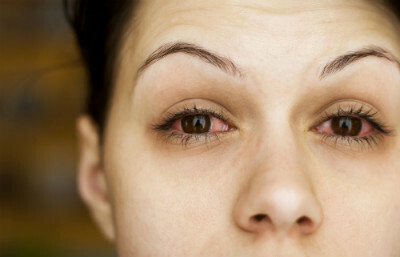 Why do cases of pink eye, also known as conjunctivitis, increase as the temperatures decrease? Many doctors suspect that it’s due to spending more time indoors where people are in closer contact with each other. Read on to find out how to protect yourself and your family. HOW DO WE GET PINK EYE? The process is simple: someone with a cold touches their nose or mouth. They then touch an object, like a door knob. Unsuspectingly, we come along, touch that same object and then touch our eyes. Bam! We’re contaminated. At first, the symptoms start in one eye – redness, watery, colored discharge, blurred vision, stinging and irritation are the most common complaints. These symptoms can last from one to two weeks. See your eye doctor if you suspect you have pink eye. I highly recommend that you see an eye doctor rather than a primary care doctor due to the tricky nature of the condition. Your eye doctor should be able to tell if you have a bacterial or a viral infection. Pray that you have the bacterial version because your doctor can prescribe an antibiotic eye drop that will cure you in just a few days. The viral version is very similar to the common cold, which can’t be treated with antibiotics. Plan on just letting the viral infection run it’s course over a week or two.